The ongoing partial government shutdown is already the longest shutdown in the US history with a duration of 22 days – and there is currently no end in sight. In the meantime, federal employees won’t be paid until the end of the shutdown. Many workers have been furloughed, whereas some remain on the job without pay. As many workers in the aviation industry are employed by the government, the aviation business is also affected by the government shutdown. Air traffic controllers, who are employees of the US Federal Aviation Administration (FAA) and therefore employed by the government, are considered as essential and have to continue to work during the shutdown, even without receiving money. In reaction to that, the National Air Traffic Controllers Association (NATCA) filed a lawsuit on behalf of its members who have not been paid for their work. NATCA seeks an order requiring the government to pay its members for the work they have performed as well as liquidated damages. As a result of the partial shutdown, the training process for new air traffic controllers has been halted, although they are desperately needed. Nearly one in five of fully certified controllers are eligible to retire this year, NATCA emphasized in a statement. While air traffic controllers continue to work, many FAA safety inspectors have been furloughed. Their responsibilities include inspecting plane repairs or investigating accidents. Nevertheless, safety inspectors are deemed by the government as non-essential during the shutdown. The FAA said in a statement that it is limiting investigations to “major accidents involving significant casualties and certain other accidents when failure to proceed with the investigation creates a significant risk to transportation safety” and added “if we identify an issue, we recall inspectors and engineers to address it.“ To meet all safety critical functions, the FAA says it is allocating resources based on risk assessment. Meanwhile, the registration and certification process has been limited due to the partial government shutdown. Silver Airways, the US operator of the ATR 42-600 aircraft, had to ground its brand new turboprop airplanes shortly after delivery while waiting for the final FAA certification. Additionally, the punctual introduction of Delta’s Airbus A220-100 aircraft type is at risk, because the FAA inspectors can’t finish the certification process during the shutdown. Inaugural flights were scheduled for January 31. According to a report from the Los Angeles Times, Southwest Airline’s planned flights to Hawaii have been delayed due to the partial shutdown. The airline initially intended to start its Hawaii operations in the first half of 2019. As it was the case in past shutdowns, the FAA’s medical certification operations will stop. Pilots will have to wait until the shutdown is over to receive their medical certificates from the FAA. Aviation medical examiners (AME), however, may still issue certificates to qualified pilots at the time of a regular FAA physical exam. The Transportation Security Administration (TSA) is part of the Department of Homeland Security. Its employees, as well as CBP (Customers and Border Protection) personnel, are considered as essential to security and work without pay at the moment. In recent days, it has been reported that many screeners have called in sick in growing numbers, resulting in longer than usual waiting times at airport security checks. To summarize, the American aviation business is already heavily affected by the partial government shutdown. 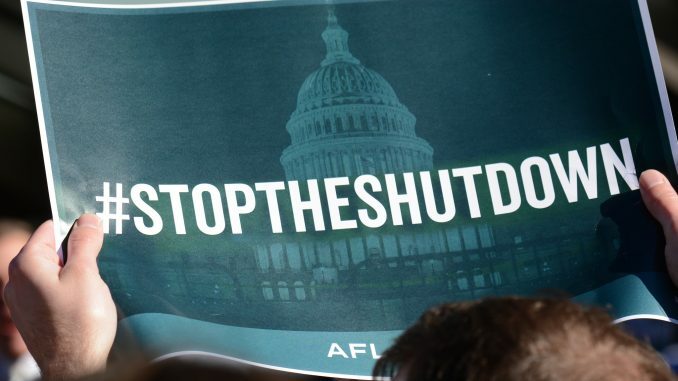 However, even more significant impacts on both the daily and long-term operations are possible, if the shutdown by the Trump administration continues. This is a political conflict that is seriously risking the safety and reliability of commercial aviation and everyday flights.